At Flashtech, we have a huge variety of Custom Halo headlights so that you have all the options you want. Our store is full of angel eye headlights, halo headlight kits, and LED headlights, so take a look at our fantastic selection. 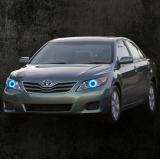 Whether you are looking for specialty custom Toyota headlights or replacement Toyota headlights or anything in between, we've got great choices for you. 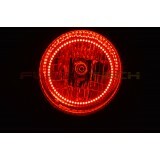 Flashtech is the ultimate shopping destination for your Toyota headlight needs! 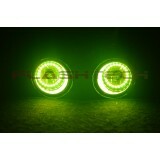 Toyota Camry V.3 Fusion Color Change 10-11 LED halos, originally designed and uniquely manufactur..
Toyota Camry V.3 Fusion Color Change 2007 - 2014LED halos, originally designed and uniquely manuf..
Toyota FJ Cruiser V.3 Fusion Color Change 07-13 LED halos, originally designed and uniquely manuf..
Toyota FJ Cruiser White 07-13 LED halos are the most advanced Halo Kit ever designed. Flashtech’s..
Toyota Sequoia V.3 Fusion Color Change 07-13 LED halos, originally designed and uniquely manufact..
Toyota Sequoia White 07-13 LED halos are the most advanced Halo Kit ever designed. 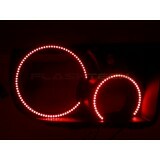 Flashtech’s br..
Toyota Tundra V.3 Fusion Color Change 07-13 LED halos, originally designed and uniquely man..
Toyota Tundra V.3 Fusion Color Change 14+ LED halos, originally designed and uniquely manufacture..
Toyota Tundra V.3 Fusion Color Change 07-13 LED halos, originally designed and uniquely manufactu..
Toyota Tundra White 07-13 LED halos are the most advanced Halo Kit ever designed. 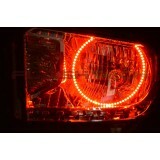 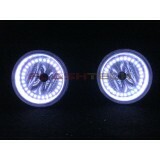 Flashtech’s bre..
Toyota Tundra White 14+ LED halos are the most advanced Halo Kit ever designed. Flashtech’s break..